Commercial space company plans to recover rocket boosters for re-use. SpaceX is trying to make history by returning its rocket back to a landing pad instead of coming down in the ocean, says an article on space.com. Carol Scott, who is working in technical integration for SpaceX in NASA’s Commercial Crew Program remarked that the first attempt to return a rocket to a landing pad could be happening sooner than the general public realizes. Scott told reporters that the company’s plan was to land the rocket on the Cape Canaveral side, although sources say SpaceX declined to comment on her remarks. SpaceX has had a target of launching again this month, despite the failure of its Falcon 9 launch back in June, and was expected to include the landing of the first stage of the rocket on a floating platform in the Atlantic. Representatives of the company have repeatedly said that recovery and reuse of the rocket stages could reduce the cost of launching satellites significantly. 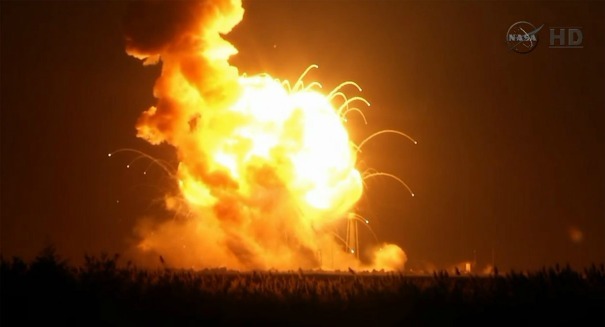 The company has experienced failures in two attempts to land a Falcon 9 booster rocket on a drone-ship in the ocean, both resulting in the booster hitting the platform and exploding in the final few seconds of the attempt. Back in February of this year, SpaceX said they had plans for using a land-based pad to recover its booster rockets as part of a plan to make them reusable, and had leased a former launch facility at Cape Canaveral Air Force Station to re-fit it for that purpose. SpaceX has a 20-year lease with NASA to use its Pad 39A for launching the company’s rockets to carry astronauts to the International Space Station (ISS), and the recovery of the fist stage would allow the company to evaluate its Horizontal Integration Facility to support its planned operations in 2016. Scott also said in her remarks that if the land-based recovery of the rocket is successful, the Falcon 9 first stage will be used to support the conversion of launchpad 39A at the Kennedy Space Center. She added if they successfully recover the first stage, it would be a test article at that site.